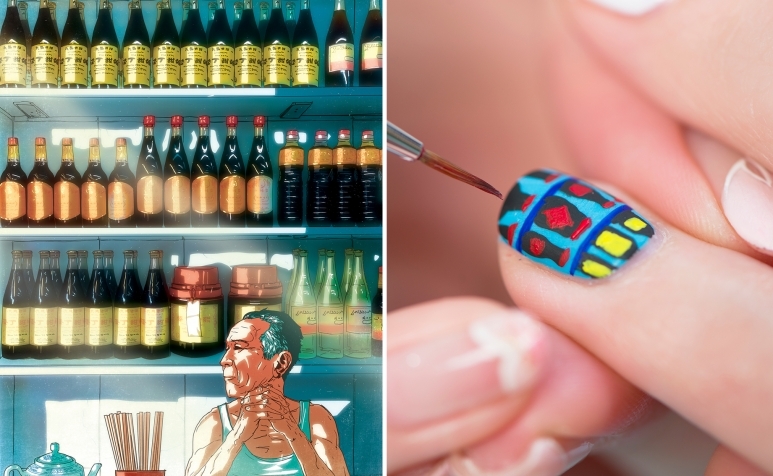 Nail art has long been used as a canvas for self expression. Having a well-designed set of cuticles does far more than showcasing your personality — it shouts out your tastes and aesthetics to the world as well. 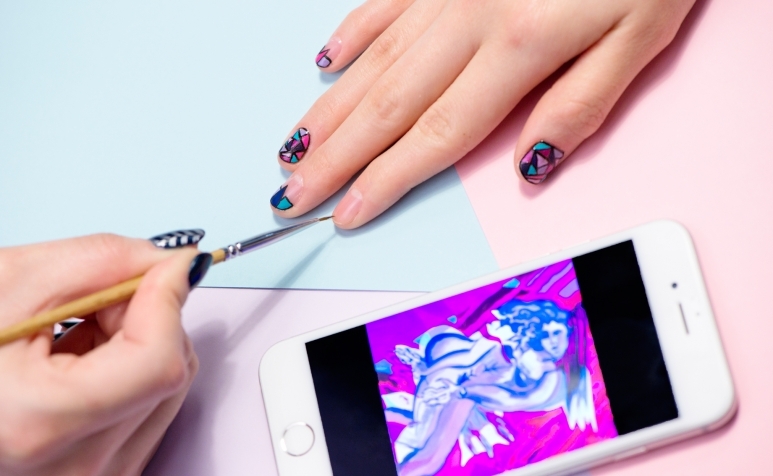 With Art Central in full swing and Art Basel just around the corner, there’s no time like the present to channel a bit of creativity into your fingertips. 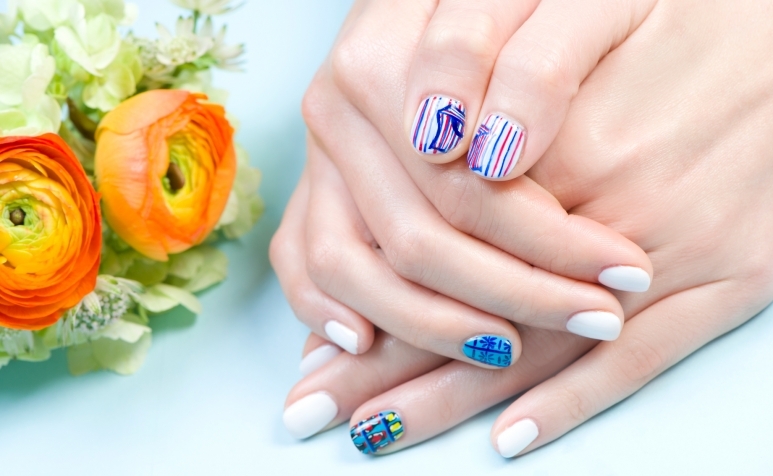 Working with the best nail salons in town, we’ve created three art-inspired manicures that will turn your hands into the talk of the town. To recreate the mood of the piece, Flawless Spa has opted for a mosaic design with dark borders. Adapting to the palette of the artwork, the colours are painstakingly filled in to create an arresting collection of geometric blocks. Aside from the blush, blue and purple colours on the painting, nail technician Sue Wong also incorporated shades of green into the Shellac manicure — in order to add an element of contrast. Using industrial materials such as cardboard boxes and tape, Maloy has constructed an enormous yellow installation that viewers can feel fully immersed in. 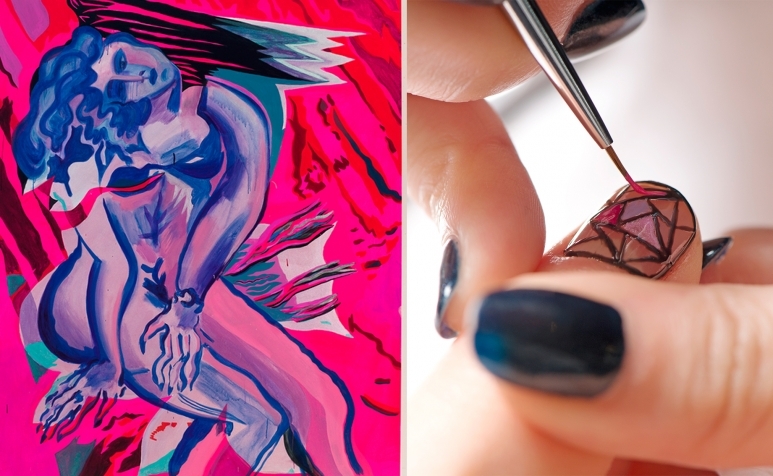 Inspired by the New Zealand artist, nail salon EightyEight has created an ethereal interpretation of his piece. The technician began the process by transferring scraps of silver foil onto the adhesive gel base, mimicking the shaded parts of the sculpture. 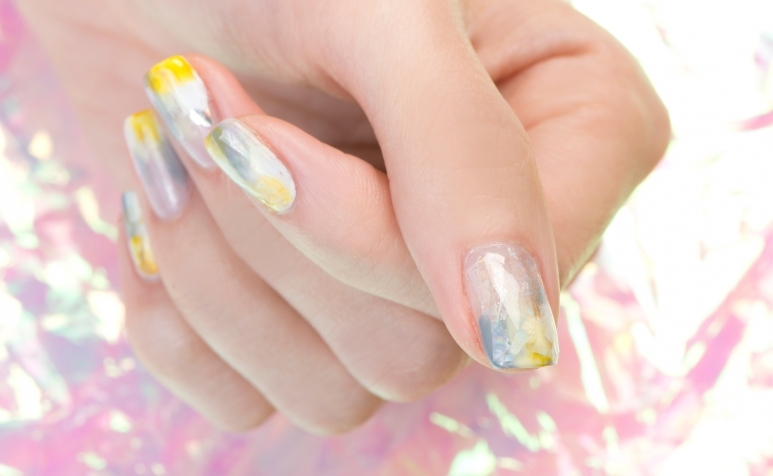 After adding strokes of baby yellow and light grey nail polish onto the nails, miniscule sheets of cellophane are layered on top of the nails to generate a three-dimensional effect — à la the shattered glass nail trend that has taken the beauty world by storm lately. “We’re inspired by how the light rays bounce off the installation, which is more on the rugged side,” said Stephanie Shek, director of the Central-based salon. 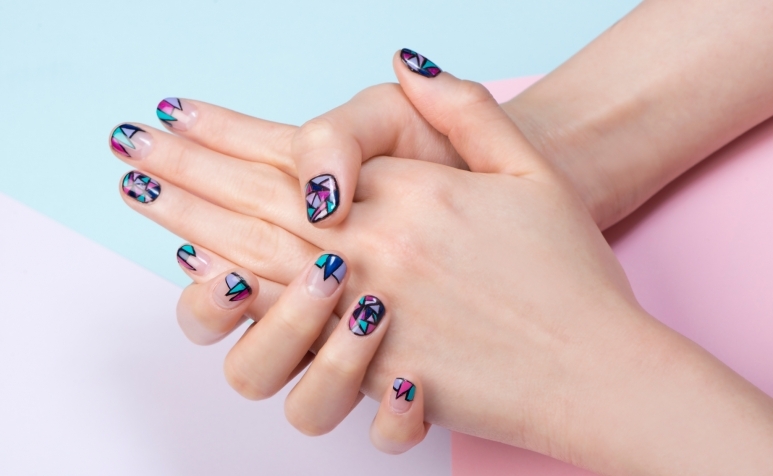 “We wanted to create a concept that communicates a ‘light and shadow’ aspect to add dimension to the look.” With two reflective materials and meticulous brush techniques, the nail art accomplished just that. Taiwanese-American illustrator Jonathan Jay Lee has been lauded for combining comic book stylings of the West with a traditional Eastern flair. You may have eaten among his works at Ho Lee Fook, and now his collection of artworks depicting street vignettes of old school Hong Kong is now on view at the podium of the Four Seasons Hotel during Art Week. 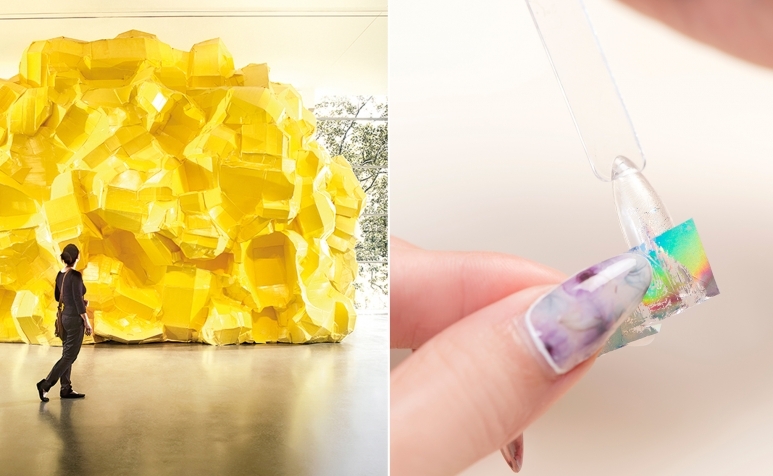 To fête the collaboration, The Nail Bar at the hotel has designed a playful manicure that pays tribute to the local elements of Lee’s work. The XO sauce bottles commonly seen at neighbourhood grocery stores — as shown in the painting — have been fastidiously reinterpreted to a geometric pattern. 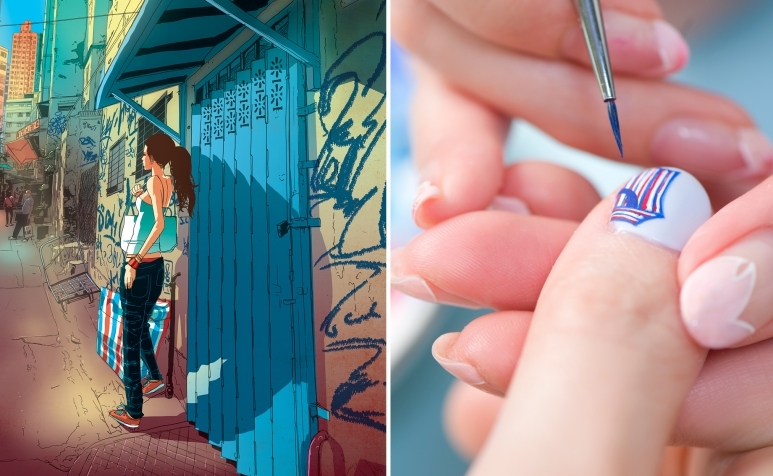 The nail artist used a fine brush to recreate the another one of Lee’s paintings in very delicate strokes. The durable red-white-blue nylon bags were chosen to represent the tenacity and adaptability of Hong Kongers. The colour blue is used as the common thread weaving together three quintessentially Hong Kong motifs: the folded metal gates with traditional engravings, the multi-functional red-white-blue nylon bags and the aforementioned sauces. The rest of the manicure is kept simple with a white finish. Uncle Wong and The Iron Gate are displayed at the sixth-floor podium of the Four Seasons Hong Kong.